October is breast cancer awareness month. Napoli Pizzeria is dedicating the first week of October to Breast Cancer Awareness. 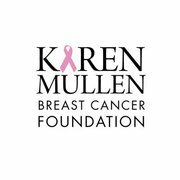 Friday October 7th we will be donating a percentage of ALL proceeds to the Karen Mullen Breast Cancer Foundation. It would be an honor to be your liaison for the "Slice of Hope" cause. Learn about Slice of Hope and the Karen Mullen Breast Cancer Foundation at www.pizzatoday.com then click on the video in right corner of page. To learn about Karen's story go to http://www.endthisdisease.org/. meatballs. Each bite was full of flavor, it was magnificent. - Kari L.